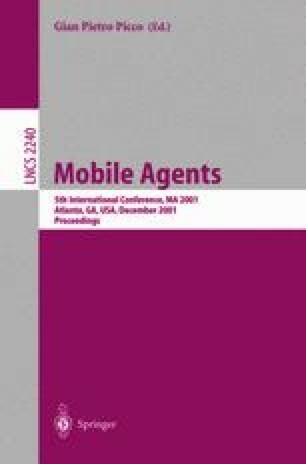 We present a centralized and a distributed algorithm for scheduling multi-task agents in a distributed system with the objective of minimizing the overall application completion time. Each agent consists of multiple tasks that can be executed on multiple machines which correspond to resources. The machine speeds and link transfer rates are heterogeneous. Our centralized algorithm has an upper bound on the overall completion time and is used as a module in the distributed algorithm. Extensive simulations show promising results of the algorithms, especially for scheduling communication-intensive multi-task agents. This work bas been supported in part by Department of Defense contract MURI F49620-97-1-0382 and DARPA contract F30602-98-2-0107, ONR grant N00014-01- 1-0675, NSF CAREER award IRI-9624286, NSF award IIS 9912193, Honda corporation, and the Sloan foundation; we are grateful for this support. We are also grateful to Bob Gray and Susan McGrath for their efforts in developing the scheduling experiments using the D’Agents system. We thank Miguel Fernandez and Santiago Aja for their implementation of the scheduling system on top of the D’Agents.